• LA RIOJA’s vineyards are located primarily along the Ebro river valley in northern Spain. The sites of wineries built at the time of the Roman Empire are still in evidence there, and the wines of Rioja have long enjoyed special status; in 1685 the mayor of Logroño, capitol of Rioja, prohibited carriages from passing on the roads near the wineries for fear that "vibration from these vehicles might affect the juice." The political region of La Rioja doesn’t precisely coincide with the viticultural region, which is divided into three parts. Rioja Alavesa is in Alava, a part of the Basque country, and it is the highest and coolest of the three sub-regions; the soils are dominated by limestone and clay. Rioja Alta is slightly warmer, and has more alluvial soils with higher iron content; a small part of the Rioja Alta is actually in Castilla-Leon. The climate of these two areas is considered "Atlantic" whereas the climate of Rioja Oriental (formerly known as Rioja Baja) is considered "Mediterranean"; it is warmer and drier, with less seasonal variation (it is partly in Navarra) and the soils are similar to those of Rioja Alta. • NAVARRA is contiguous with La Rioja to the north and east, and in fact a substantial part of Navarra’s production is classified as Rioja wine, enhancing its marketability. In the past, Navarra has been known primarily for rosé wines produced from grenache grapes, but innovation in recent years has resulted in the increasing production of fine reds and whites as well. • RIBERA DEL DUERO is situated to the west and a little south of La Rioja, in the Duero river valley (the Ebro runs west-to-east, into the Mediterranean, whereas the Duero runs east-to-west, into the Atlantic. On the Portuguese side of the border it is called the Douro, which is where port wine is grown.) The valley averages over 2,500 ft. above sea level, having very hot summer days and cold nights, and a short growing season for Spain. Soils tend to be loose, with a lot of limestone and iron. In 1864 Vega Sicilia was established there; it has long been considered one of Spain’s most prestigious (and expensive) wines, and provided the exception to Rioja’s dominance in the production of unfortified, age-worthy dry wines. In recent decades, a number of excellent producers have brought Ribera del Duero wines to a much wider public. • PRIORAT is an isolated, rugged region located inland from Tarragona on the Mediterranean coast, south-west of Barcelona. Grapes are cultivated in small land holdings situated along a winding river valley, on steep slopes (costers) which are often terraced (terrasses) in nutrient poor, slatey soils (llicorelas.) Summer heat and winter cold are severe. These conditions make highly mechanized farming virtually impossible, and tend to result in low yields with intense flavor concentration (and unusually high alcohol concentration as well.) This region is only recently emerging from many years of economic depression; new investment combined with old vines planted in unique terrain has resulted in some extraordinary wines. • RUEDA is the southernmost region of Castilla-León, forming part of Spain’s central meseta, and averaging around 2,000 ft. altitude. Vineyards tend to be small and scattered, and yields low due to the arid continental climate. Soils are loose and rich in iron, average annual rainfall is around 407 mm. and annual sunshine around 2,700 hours. Rueda wines were highly prized during the Middle Ages. In 1897 phylloxera (the larval form of an aphid that attacks vine roots) wiped out Rueda’s vineyards, and they were replaced with fast-growing, high yielding vines that produced mediocre wine. 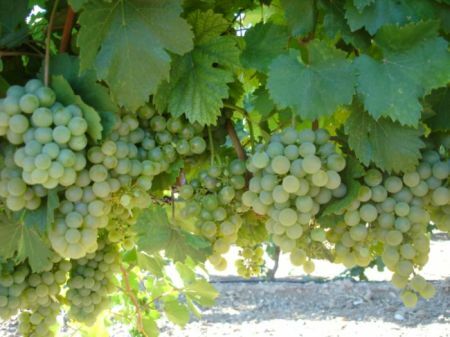 Beginning around 1972, there was a concerted effort to raise quality standards by promoting the native verdejo grape, along with sauvignon blanc. Unusually for Spain, Rueda wineries are now known almost exclusively for fine whites. • RIAS BAIXAS is in the northwest corner of Spain, on the Atlantic coast. Wine has been produce there since ancient times; Caesar Augustus was especially fond of wines from the region. The proximity of the ocean and the Gulf Stream influence the climate, which is damp (for Spain) with less seasonal variation than the interior. Soils are generally shallow and sandy with a granite base, and vineyards are right by the shore, near sea level. Several fine white varieties are cultivated here; the best known internationally at present is albariño. • GARNACHA is better known internationally by the French name grenache, although it is originally from the Spanish region of Aragon (the variety we are talking about here is also called "garnacha tinta" to distinguish it from garnacha blanca, garnacha tintorera, garnacha peluda, etc.) 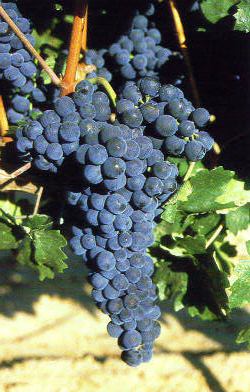 This is a variety that requires a long summer to mature properly (it is now widely cultivated in the Rhone Valley, California and Australia.) Old vines in previously depressed regions of Spain (like the Priorat) are now producing wines of exceptional quality. It is also used for fine dry rosés. • CARIÑENA (named for the area in Aragon where it originated) is also known as mazuelo in Spain. Once again, the French name (carignan) is more commonly used internationally. • ALBARIÑO until recently was cultivated almost exclusively in the Rias Baixas region of Galicia, in the northwestern corner of Spain. It is said to be related to riesling, having been brought by Alsatian monks (pilgrims on the road to Santiago de Compostela) in the 11th century. It is cultivated right by the sea in one of the dampest regions of Spain. At its best it produces wines that are nicely balanced with mineral, citrus and floral notes that go beautifully with seafood. • VERDEJO is native to the region of Rueda in Castilla-Leon. Rueda is unusual in that the only officially recognized and approved wines are whites. It produces flavorful wines that can offer a range of characteristics, depending on the vineyard and the vintage, from crisp and citric to tropical. They’ve been drinking wine in Spain for a long time. Egyptian wine urns have been found in Andalusia dating from 914 B.C. (the date was easy to determine; they were "labeled" with hieroglyphics specifying the vintner’s name, the vineyard, the quality classification, and the vintage date expressed as a year in the reign of the Pharaoh in power at the time.) The coastal regions of Spain were introduced to viticulture by the Phoenicians, and this practice was continued by the Greeks and later greatly expanded by the Romans, who planted vines extensively, primarily in river valleys. Regulation dates back at least to 1106, when King Sancho of Navarra made Spain’s first wine laws. Nowadays the industry is regulated by a system of local and regional councils which began in the 1920s. Nationwide it is administered by the Instituto Nacional de Denominaciones de Origen, which grants (or denies) to specific regions status as an official Denominacion de Origen (D.O.) and the regional Consejo Regulador sets standards for such things as what grape varieties may be planted, vineyard and winemaking practices, aging minimums, labeling terms, etc. Taste and chemical tests must be passed to receive a D.O. seal on the label. D.O.C. is a higher status still (comparable to the Italian D.O.C.G.) for a time held only by Rioja; in 2000 it was granted to Priorat as well. If a wine is produced outside one of the recognized D.O.s, or is not approved by the Consejo Regulador, it is classified as a simple vino de mesa (table wine) and information cannot go on the label regarding grape varieties or vintage. There is also a newer category called vino de la tierra (wine of the land) which is a step above vino de mesa and is assigned in anticipation of future D.O. status. • Cosecha, Cosechero or Vino Joven is released in its first year, with 0-12 months of barrel aging. These wines tend to be fruity and fairly simple, and very economically priced. At their best they can be quite enjoyable, and offer a lot of varietal character. After two years of aging, these wines should be smoother and more food-friendly, but of course personal preferences vary regarding wine and food pairing. Depending on winery practices and the sort of cooperage employed, some crianza wines can be quite oaky. • Reserva wines are released after a minimum of 3 years, once again with at least 12 months in barrel. Fruit and oak character should be better integrated at this level. It is not simply a matter of age; reserva wines should also be made from a more rigorous selection of fruit. Bodegas don’t produce reservas or gran reservas every year; the wines should also be of exceptional quality. 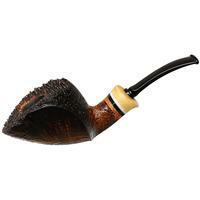 They are often cellared for a very long time. The more old school gran reservas are sometimes described as tasting of "blood and gravel"; that may not sound appealing, but just try one with a rack of lamb! The information on the label (region, grape variety, quality classification, etc.) can be very helpful when you select wine, but there is really only one way to know if you are going to like it: taste! Another great and informative wine article! Will we be seeing any updates with the wine catogories…??? What happened to 2010 ? 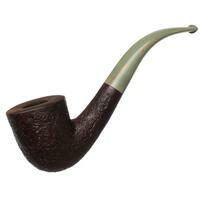 Wine is superb with an occassional pipe…and, so is beer !! Hope to see more great reading !! Good article! I’m a fan of Spanish wines. I prefer reds but my wife (hardly ever drinks) likes vino verde. The inexpensive white table wine from Spain. I drink a lot of wines from South America, Argentina and Chile. They are inexpensive and good quality. I’m a huge fan of jammy California Zin’s and big dry Cabs.